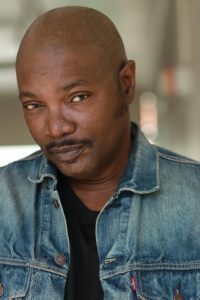 Award winning writer, actor, director, and producer, Levy Lee Simon is originally from Harlem USA, and a graduate of the University of Iowa Playwright’s Workshop. His recognized plays include: For the Love of Freedom , The Bow Wow Club, Same Train, Smell the Power, The Guest at Central Park West, The Stuttering Preacher, Caseload , God the Crackhouse and the Devil , The Last Revolutionary , The Magnificent Dunbar Hotel and, Gentrified – Metaphor of the Drums. His directing credits include: The Bow Wow Club, Dutchman, Javon Johnson’s Breathe, and Leftovers by Josh Wilder at the GPTC. As an actor, he has appeared On-Broadway, Off-Broadway, in Regional Theatres and in England. He has optioned several scripts to studios in Hollywood and New York. His first feature film, The Last Revolutionary, premiered at the Pan African Film Festival 2017, and can now be seen on Amazon.com. Levy Lee is a proud artist and thespian always seeking to create work that entertains while inspiring and motivating change.